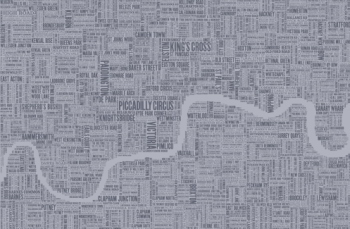 This is lovely - a map of London areas and streets slotted together in typeface. It's not just zone 1 either; we can see Neasden in the north west and are pretty sure we can make out Hither Green in the south east. It was actually a struggle to tear ourselves away from poring over the close-up to tell you about it. It's by Bold & Noble, a design collective founded by Jane Tobitt and David Wardle. The map's eco-friendly too, printed on 100% recycled card. This map comes in grey or duck egg blue, is 50cm x 70cm and costs £38 + p&p. Browse previous Santa's Lap entries for inspiration and check out Christmas Markets and Fairs around town for festive shopping opportunities.